Xtreme™ 2-Cycle Air-Cooled Engine Oil is engineered to provide the ultimate in engine protection in air-cooled engines operating in severe conditions. 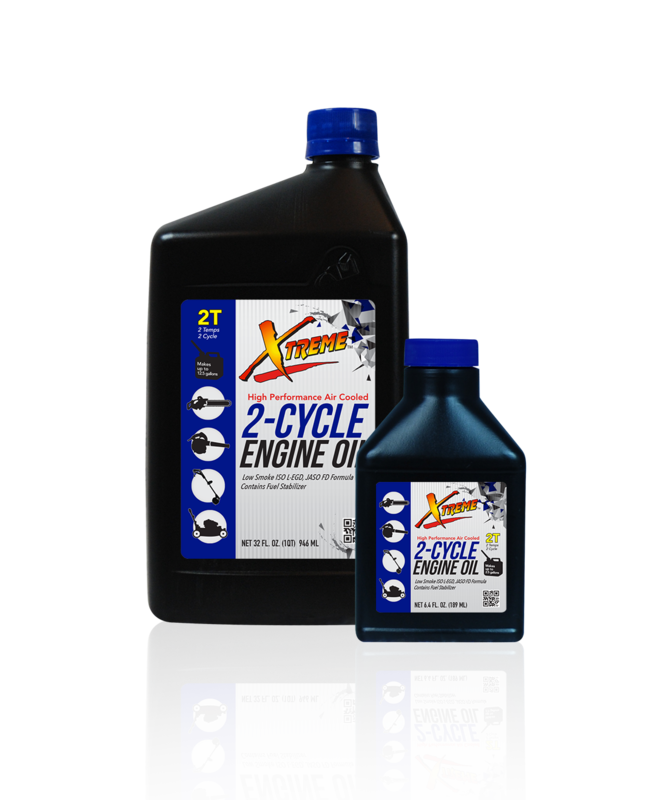 Xtreme 2-Cycle Air-Cooled Engine Oil is blended with state-of-the-art additive technology and conventional base oils that meets or exceeds smokeless 2-cycle ratings ISO L-EGD, JASO FD, and API Service Level TC. This product also contains fuel stabilizers which extend storage life without requiring additional off-season storage additives. Xtreme 2-Cycle Air-Cooled Engine Oil is ideal for use in all 2-cycle motor scooters, high performance 2-cycle motorcycles and go kart engines, logging and landscaping operations, grounds maintenance crews, and individuals seeking higher levels of power equipment engine protection compared to conventional oils.